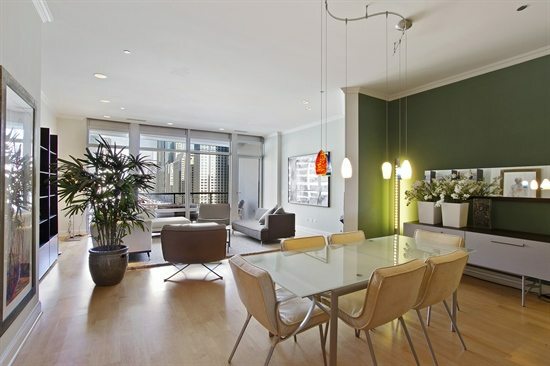 Huge 2 bed + den with floor-to-ceiling windows has tons of light & phenomenal views of the city and river. 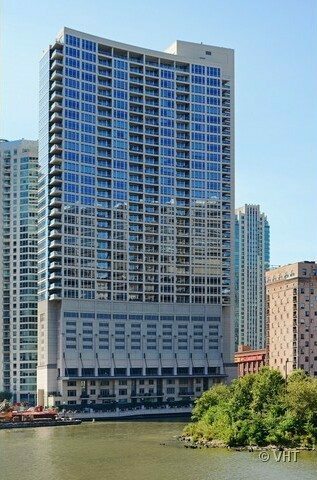 2350 sq ft, soaring 11 ft ceilings, chef’s kitchen with granite, double oven, stainless steel Viking appliances and breakfast bar opens to huge east-facing dining/living room overlooking Chicago River. Large balcony, master suite with walk-in closets and spa bath, 2nd bedroom adjacent to large full bathroom with granite shower surround. Sit on balcony and wave to river boats as they go by! Valet garage parking included in the price. Hardwood floors greet you as you enter the home. High ceilings in a large space make this a great place to display your artwork. 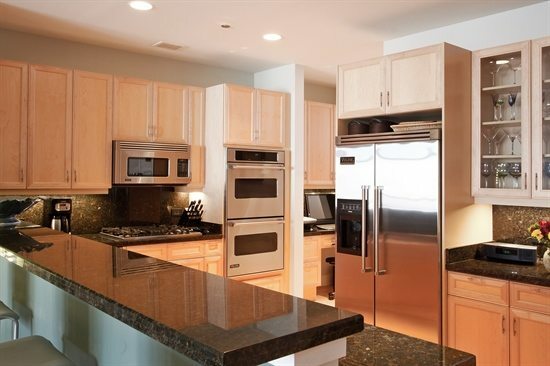 Hardwood floors throughout this chef’s kitchen. This kitchen is a dream to cook in. Granite counter-tops and Viking stainless steel appliances highlight the work area. Breakfast bar for drinking your morning coffee. Hardwood floors continue into the dining area. This is a true open floor plan. The dining area is large enough for a full size table and buffet. The dining area is adjacent to living area which looks on to the river. 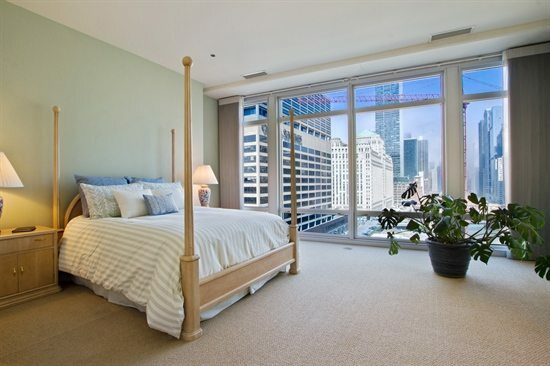 The ceiling to floor windows make it great for viewing the river and the city lights. The high ceilings and light hardwood floors keep the room light and airy. 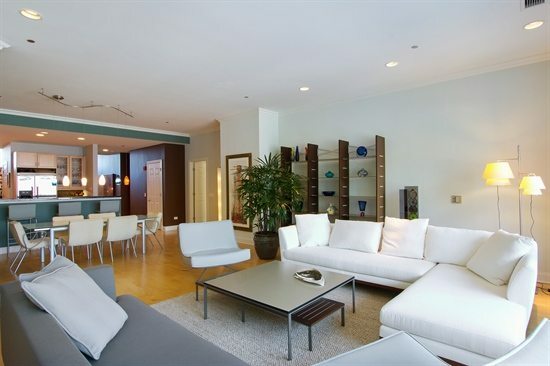 The living area is adjacent to the outdoor balcony which is large enough for plenty of outdoor furniture. Sit on the balcony and wave to the river boats as they go by. Step into the master suite that features, neutral carpeting and floor to ceiling east facing windows. 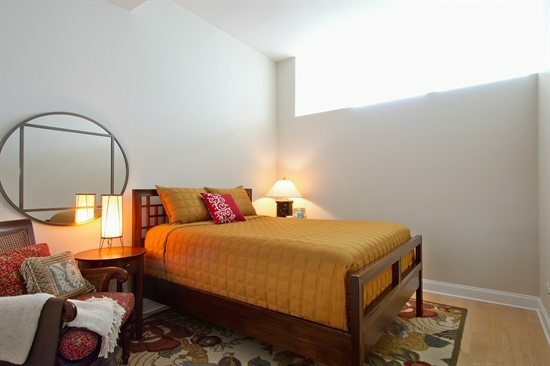 The area is large enough for a king size bed, dressers, and additional seating. 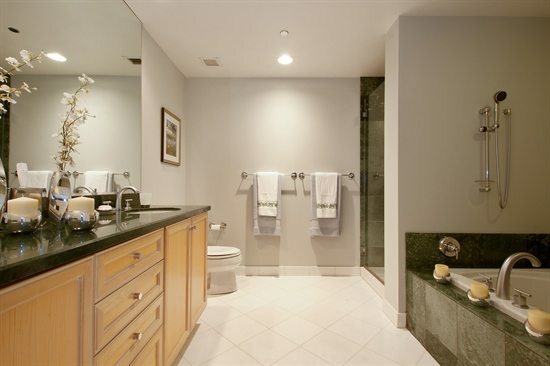 Step into the spa like bathroom with marble floors and a separate walk in shower. The shower, jetted tub and vanity all feature honed granite. Hardwood floors and a large wall closet along with a recessed window for additional sunlight make this a great guest area. 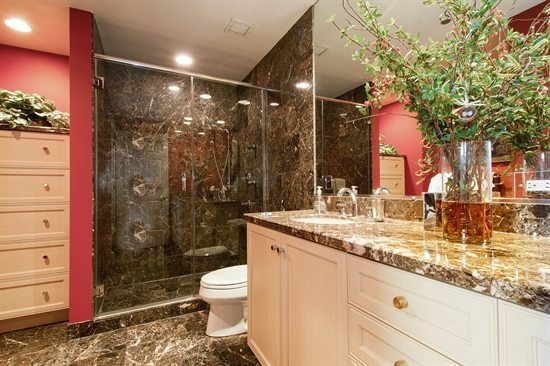 This bathroom features a large walk in shower and an extra long vanity. 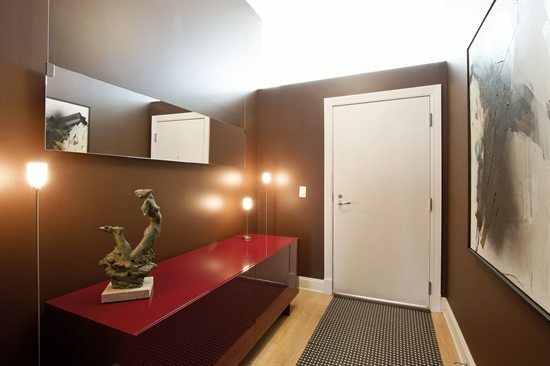 It is right across from the 2nd bedroom giving this a private feel for your guests. Hardwood floors continue through the den area. 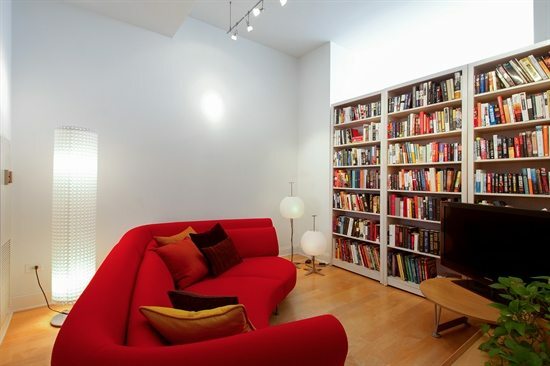 This room also features built in book shelves for your library. A recessed window above allows for sunlight. 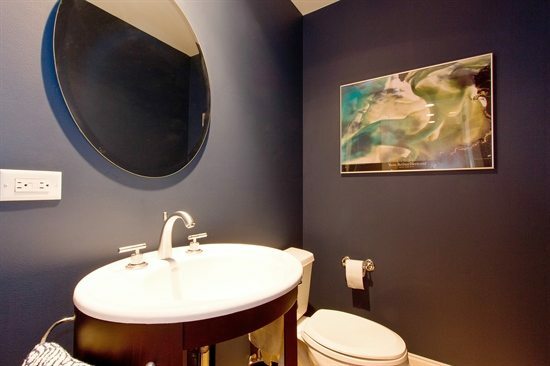 Tastefully decorated for your guests.